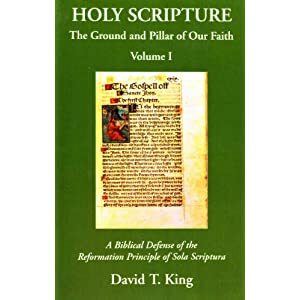 “As long as it seems to me that the pope or theologians or any school assert a position contradicting the truth of Scripture, my concern for scriptural truth obliges me to give it first place, and after that I am bound to examine the evidence on both sides of the question, since it is unlikely the majority would err. But in every case I owe more respect to canonical Scripture than to human assertions, regardless of who holds them. 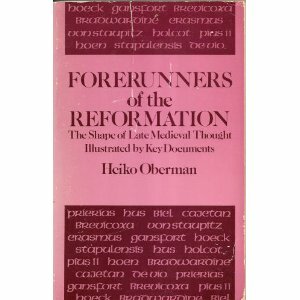 "- Wessel Gansfort (1419-1489) [Heiko Oberman, Forerunners of the Reformation (New York: Holt, Rinehart and Winston, 1966),99-100]. "Wessel does not deny ... that apostolic traditions not contained in the canon can be part of the 'rule of faith'- but only if they make explicit what is contained in the Sacred Canon. Wessel is therefore willing to say that sacramental confession falls into this category of apostolic Tradition and is part of the rule of faith, but only 'since indeed it is confirmed by the general statements of John and by the more specific words of James. Therefore[!] 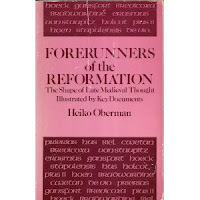 I admit that in this rule of faith I ought to depend on the authority of the Church...'"[Heiko Oberman, Forerunners of the Reformation (New York: Holt, Rinehart and Winston, 1966), 64-65]. 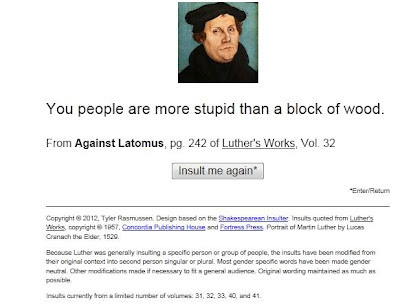 Would You Like to be Insulted by Luther? I was recently sent over this link below (ht: Matthew). Do you think you've got what it takes to stand being insulted by the great Reformer? Click on the link below and find out! Also of interest, the Shakespearean Insulter. When it says "married but once;" this should be, understood to mean that someone who is going to be ordained should neither have been married to a widow nor have been married twice. This impediment to holy orders is not produced by any kind of sin but rather, so to speak, through a defect in the sacrament. For matrimony is a sacrament of the body, that is, a sign of the marriage between Christ and the Church. Thus, just as Christ married only one virgin church, a priest, who is Christ's vicar, should have been the husband of only one woman who was a virgin. The church regards a virgin as any woman who has not been previously married, even though she may have lost her virginity. Thus anyone who marries a widow is not able to be raised to the priesthood. If he married a woman who had already lost her virginity, he can be ordained. Saints Jerome and Augustine disagreed over this point. Jerome argued that if someone married one woman before he was baptized and then another after his baptism, he should not be considered to be twice married since baptism removed the impediment that had arisen from the first marriage. But Augustine's position prevailed, which argued that baptism removed nothing but sin and its consequences. Marriage, however, was neither a sin nor were its consequences sinful. Thus, the first marriage and its consequences were not removed by baptism. When some other canonical impediment has occurred due to vice—for instance if someone has been convicted of theft or adultery—that infamy can be removed by baptism. But if someone has committed murder and thus been-disgraced, this disqualification is not removed even after baptism since it is such a horrible thing to shed blood. Source: John Shinners and William Dohar, Pastors and the Care of Souls in Medieval England (Indiana: University of Notre Dame Press, 1998) 7-8. If Thomas of Chobham summed up the views of Augustine and Jerome correctly, I think it demonstrates that simply because Augustine and Jerome are considered important church fathers, this doesn't mean that if you sift back into church history, everyone was saying the exact same thing all the time. It also shows that simply because both of these great men were closer in time to the Apostles this does not necessarily mean they have a better perspective than someone living today does. Third, I think both of them actually don't interpret the verse with any sort exegetical justice. Fourth, when I Googled around to see what some of Rome's infallible interpreter apologists were saying on 1 Tim. 3:2, I ended up with things like this. 1.May 21, 2011 (the beginning of Judgment Day) until the last day of Judgment Day. 2.Five months of torment from May 21 until a date in October 2011, during the feast of tabernacles. If you're curious at all to see how these folks work through all this stuff, they have an active message board: Time and Judgement. I watch your television broadcast regularly. I like that you give people hope. In fact, sometimes I even feel a bit uplifted after hearing you speak. Life can be so overwhelming at times. There is so much pain and suffering. That you inspire people to keep going on despite hardship challenges me likewise to have that sort of impact on people. For that influence, I'm grateful. I came across this section from J.I. 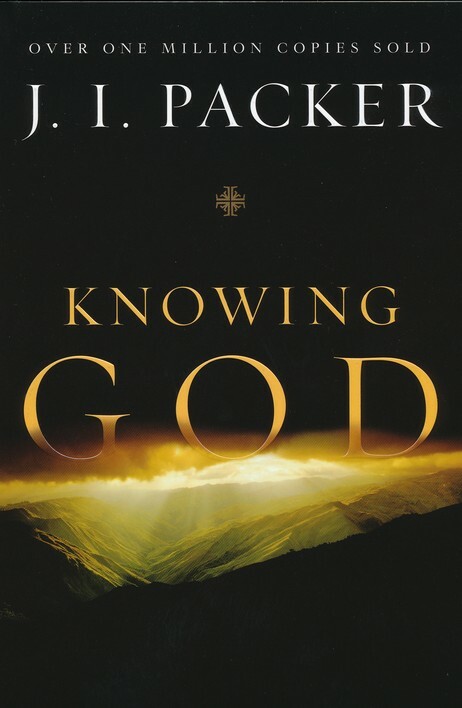 Packer's book, Knowing God (pages 93-97). I thought of you as I read it. I read this particular section almost fifteen years ago, and I've never forgotten it. I'd simply like to know how you would square your consistent preached messages of positive thinking and hope with the positive thinking and hope that J.I. Packer presents. I don't mean that sarcastically at all. I really do think that what's expressed below is a different message of hope than you are expressing weekly. `Ecclesiastes' (the Greek equivalent of the Hebrew title, Qoheleth) means simply `the preacher'; and the book is a sermon, with a text ('vanity of vanities ...' 1:2; 12:8), an exposition of its theme (chaps. 1—10), and an application (chaps. 11-12:7). Much of the exposition is autobiographical. Qoheleth identifies himself as `the son of David, king in - Jerusalem' (1:1). Whether this means that Solomon himself was the preacher, or that the preacher put his sermon into Solomon's mouth as a didactic device, as scholars so conservative as Hengstenberg and E. J. Young have argued, need not concern us. The sermon is certainly Solomonic in the sense that it teaches lessons which Solomon had unique opportunities to learn. `Vanity of vanities, saith the preacher, vanity of vanities; all is vanity.' In what spirit, and for what purpose, does the preacher announce this text? Is it the confession of an embittered cynic, `a selfish and callous old man of the world who found at the end nothing but a dire disillusionment' (W. H. Elliot), now seeking to share with us his sense of the cheapness and nastiness of life? Or is he speaking as an evangelist, trying to bring home to the unbeliever the impossibility of finding happiness `under the sun' apart from God? The answer is neither, though the second suggestion is not so wide of the mark as the first. Look (says the preacher) at the sort of world we live in. Take off your rose-coloured spectacles, rub your eyes, and look at it long and hard. What- do you see? You see life's background set by aimlessly recurring cycles in nature (1:4 ff.). You see its shape fixed by times and circumstances over which we have no control (3: 1 ff. ; 9:11 f.). You see death coming to everyone sooner or later, but coming haphazard; its coming bears no relation to good or ill desert (7:15; 8:8). Men die like beasts (3: 19 f.), good men like bad, wise men like fools (2:14, 17; 9:2 f.). You see evil running rampant (3:16; 4:1; 5:8; 8:11; 9:3); rotters get on, good men don't (8:14). Seeing all this, you realise that God's ordering of events is inscrutable; much as you want to make it out, you cannot do so (3:11; 7:13£ ; 8:17 RV; 11:5). The harder you try to understand the divine purpose in the ordinary providential course of events, the more obsessed and oppressed you grow with the apparent aimlessness of everything, and the more you are tempted to conclude that life really is as pointless as it looks. But once you conclude that there really is no rhyme or reason in things, what `profit' —value, gain, point, purpose — can you find henceforth in any sort of constructive endeavour? (1:3; 2:11, 22; 3:9; 5:16). If life is senseless, then it is valueless; and in that case, what use is it working to create things, to build a business, to make money, even to seek wisdom —for none of this can do you any obvious good (2:15 f., 22 f.; 5:11); it will only make you an object of envy (4:4); you can't take any of it with you (2: 18 ff. ; 4:8; 5:15 f.); and what you leave behind will probably be mismanaged after you have gone (2:19). What point is there, then, in sweating and toiling at anything? Must not all man's work be judged `vanity (emptiness, frustration) and a striving after wind' (1:14 RV)?-activity that we cannot justify as being either significant in itself or worth while to us ? It is to this pessimistic conclusion, says the preacher, that optimistic expectations of finding the divine purpose of everything will ultimately lead you (cf. 1:17 f.). And of course he is right. For the world we live in is in fact the sort of place that he has described. The God who rules it hides Himself. Rarely does this world look as if a beneficent Providence were running it. Rarely does it appear that there is a rational power behind it at all. Often and often what is worthless survives, while what is valuable perishes. Be realistic, says the preacher; face these facts; see life as it is. You will have no true wisdom till you do. Many of us need this admonition. For not only are we caught up with the `York-signal-box' conception, or misconception, of what wisdom is; we feel that, for the honour of God (and also, though we do not say this, for the sake of our own reputation as spiritual Christians), it is necessary for us to claim that we are, so to speak, already in the signal-box, here and now enjoying inside information as to the why and wherefore of God's doings. This comforting pretence becomes part of us: we feel sure that God has enabled us to understand all His ways with us and our circle thus far, and we take it for granted that we shall be able to see at once the reason for anything that may happen to us in the future. And then something very painful and quite inexplicable comes along, and our cheerful illusion of being in God's secret councils is shattered. Our pride is wounded; we feel that God has slighted us; and unless at this point we repent, and humble ourselves very thoroughly for our former presumption, our whole subsequent spiritual life may be blighted. Among the seven deadly sins of medieval lore was sloth (accidie)—a state of hard-bitten, joyless apathy of spirit. There is a lot of it around today in Christian circles; the symptoms are personal spiritual inertia combined with critical cynicism about the churches and supercilious resentment of other Christians' initiative and enterprise. Behind this morbid and deadening condition often lies the wounded pride of one who thought he knew all about the ways of God in providence and then was made to learn by bitter and bewildering experience that he didn't. This is what happens when we do not heed the message of Ecclesiastes. For the truth is that God in His wisdom, to make and keep us humble and to teach us to walk by faith, has hidden from us almost everything that we should like to know about the providential purposes which He is working out in the churches and in our own lives. `As thou knowest not what is the way of the wind, nor how the bones do grow in the womb of her that is with child; even so thou knowest not the work of God who doeth all' (11:5 RV). But what, in that case, is wisdom? The preacher has helped us to see what it is not; does he give us any guidance as to what it is? Indeed he does, in outline at any rate. `Fear God, and keep his commandments' (12:13); trust and obey Him, reverence Him, worship Him, be humble before Him, and never say more than you mean and will stand to when you pray to Him (5: 1-7); do good (3:12); remember that God will some day take account of you (ii :9; 12:14), so eschew, even in secret, things of which you will be ashamed when they come to light at God's assizes (12:14). Live in the present, and enjoy it thoroughly (7:14; 9:7 if; 11:9 f.);present pleasures are God's good gifts. Though Ecclesiastes condemns flippancy (cf. 7:4-6), he clearly has no time for the super-spirituality which is too proud, or `pi', ever to laugh and have fun. Seek grace to work hard at whatever life calls you to do (9:10), and enjoy your work as you do it (2:24; 3:12 f.; 5:18 f£; 8:15). Leave to God its issues; let Him measure its ultimate worth; your part is to use all the good sense and enterprise at your command in exploiting the opportunities that lie before you (11:1-6). And praise Him still Through good and ill Who ever lives. Re: SPLIT: Catholics claim to be one and same church Christ founded. I utterly reject that claim on biblical and historical grounds. 2 Tim. 3:17 That (in the sense of “in order that”) refers back to the preceding verse (v. 16), indicating the purpose of Scripture for the believer. man of God. Clearly, you didn't read By What Authority? Contrary to the opinion that the "man of God" can be any Christian without distinction, Scripture itself will not allow such an interpretation, insisting that the "man of God" is a figure of authority, either commissioned by God directly through Divine Intervention (such as Moses or the Angel), or appointed by another holder of authority (such as Samuel, David, Elisha, and St. Timothy). 1 Tim. 6:11–12 The reference to Timothy as a man of God affirms his authority and stands in contrast with the false teachers, who are not men of God. “Man of God” is used often in the OT of a prophet (e.g., Deut. 33:1; 1 Sam. 9:6; Ps. 90:1). The call to fight the good fight of the faith and to take hold of the eternal life involves both fleeing from sin and vigorously pursuing virtue (cf. note on 2 Tim. 2:22). When St. Paul imposed his hands on St. Timothy, he passed on a legitimate apostolic authority, "entrusted" the "truth" to him, and imparted the gift of "the Holy Spirit" for the safekeeping and preservation of the Gospel. Is that the "Official" interpretation of that passage or is that your interpretation as a "Private Theologian"? If "Official", is it "Historic"? Does it exclude "Laity" as recipients of Paul's exhortation? While I am in communion with the Bishop of Rome, I'm not a bishop, so anything I say is certainly not "Official." That said, I'm willing to bet that the referenced link would have no problem getting a Nihil Obstat and an Imprimatur if the writer chose to do so. It's certainly "Historic." There are 4 generations of apostolic succession in Scripture: "What you have heard from me before many witnesses entrust to faithful men who will be able to teach others also" (2 Tim. 2:2) -- (1) Paul, (2) Timothy, (3) the men that Timothy will entrust the Gospel message to, and (4) the men that they will entrust. One witness to the structure of the early Church is St. Ignatius of Antioch, whose seven authentic letters are dated no later than A.D. 117 or 118, so he must have known some of the apostles themselves, as Antioch was a center of missionary activity frequented by Paul in Acts 11:26–30 and 13:1–3. Ignatius says, "It is fitting in every way . . . that you be knit together in a unified submission, subject to the bishop and presbytery that you may be completely sanctified" (Letter to Ephesians 2:2). Again he says of the Church, "Jesus Christ . . . is the will of the Father, just as the bishops, who are appointed in every land, are the will of Jesus Christ. So it is proper for you to be in harmony with the will of the bishop" (ibid., 3:2–4:1). He also wrote, "It is clear that one should see the bishop as the Lord himself" (ibid., 6:1). These quotes show first that Ignatius considered the bishops of the Church to be the "will of God" (i.e., their office was appointed by God) and second that obedience to the bishop was considered obedience to God himself. In some sense, the bishop represented God in the same way that the apostles did. Originally Posted by By What Authority? The Apostles possess the Gospel message precisely because it was (as the above passages demonstrated) "entrusted" to them, i.e., given to them, and not taken by them on their own initiative. One witness to the structure of the early Church is St. Ignatius of Antioch, whose seven authentic letters are dated no later than A.D. 117 or 118, so he must have known...bishop" (ibid., 3:2–4:1). He also wrote, "It is clear that one should see the bishop as the Lord himself" (ibid., 6:1). These quotes show first that Ignatius considered the bishops of the Church to be the "will of God" (i.e., their office was appointed by God) and second that obedience to the bishop was considered obedience to God himself. In some sense, the bishop represented God in the same way that the apostles did. I read Mr. Michael's article. Maybe you can read a portion of John Chrysostom's sermon in which he exegetes that passage. Chrysostom (349-407): How comes it that not merely among ourselves, but also among Jews and Greeks, he [i. e. Paul] is the wonder of wonders? Is it not from the power of his epistles? whereby not only to the faithful of today, but from his time to this, yea and up to the end, even the appearing of Christ, he has been and will be profitable, and will continue to be so as long as the human race shall last. For as a wall built of adamant, so his writings fortify all the Churches of the known world, and he as a most noble champion stands in the midst, bringing into captivity every thought to the obedience of Christ, casting down imaginations, and every high thing which exalts itself against the knowledge of God, and all this he does by those epistles which he has left to us full of wonders and of Divine wisdom. For his writings are not only useful to us, for the overthrow of false doctrine and the confirmation of the true, but they help not a little towards living a good life. . . .
8. Hear also what he says in his charge to his disciple: “Give heed to reading, to exhortation, to teaching,” and he goes on to show the usefulness of this by adding, “For in doing this thou shalt save both thyself and them that hear thee.” And again he says, “The Lord’s servant must not strive, but be gentle towards all, apt to teach, forbearing;” and he proceeds to say, “But abide thou in the things which thou hast learned, and hast been assured of, knowing of whom thou hast learned them, and that from a babe thou hast known the sacred writings which are able to make thee wise unto salvation,” and again, “Every Scripture is inspired of God, and also profitable for teaching, for reproof, for correction, for instruction which is in righteousness, that the man of God may be complete.” Hear what he adds further in his directions to Titus about the appointment of bishops. “The bishop,” he says, “must be holding to the faithful word which is according to the teaching, that he may be able to convict the gain-sayers.” But how shall any one who is unskillful as these men pretend, be able to convict the gainsayers and stop their mouths? or what need is there to give attention to reading and to the Holy Scriptures, if such a state of unskillfulness is to be welcome among us? Such arguments are mere makeshifts and pretexts, the marks of idleness and sloth. But some one will say, “it is to the priests that these charges are given:” — certainly, for they are the subjects of our discourse. But that the apostle gives the same charge to the laity, hear what he says in another epistle to other than the priesthood: “Let the word of Christ dwell in you richly in all wisdom,” and again, “Let your speech be always with grace seasoned with salt, that ye may know how ye ought to answer each one,” and there is a general charge to all that they “be ready to” render an account of their faith, and to the Thessalonians, he gives the following command: “Build each other up, even as also ye do.” But when he speaks of priests he says, “Let the elders that rule well be counted worthy of double honor, especially those who labor in the word, and in teaching.” For this is the perfection of teaching when the teachers both by what they do, and by what they say as well, bring their disciples to that blessed state of life which Christ appointed for them. For example alone is not enough to instruct others. Nor do I say this of myself; it is our Savior’s own word. “For whosoever shall do and teach them, he shall be called great. Now if doing were the same as teaching, the second word here would be superfluous; and it had been enough to have said “whosoever shall do” simply. But now by distinguishing the two, he shows that practice is one thing, and doctrine another, and that each needs the help of the others in order to complete edification. Thou hearest too what the chosen vessel of Christ says to the Ephesian elders: “Wherefore watch ye, remembering that for the space of three years, I ceased not to admonish every one, night and day, with tears.” NPNF1: Vol. IX, The Christian Priesthood, Book 4, §7-8. Luther: What harm could it do if a man told a good lusty lie in a worthy cause and for the sake of the Christian Churches? Luther Exposing the Myth says their stated purpose is to show that "from Luther’s own words we shall see him for what he really was, that is a rebellious apostate, who abandoned the faith and led many into apostasy from God under the guise of “reformation” in order to follow his perverse inclinations." With this quote, they attempt to show Luther taught contrarily to Jesus on lying. Luther, Exposing the Myth cites "Lenz: Briefwechsel, Vol. 1. Pg. 373." Lenz refers to German historian Max Lenz. Lenz edited the correspondence and documents related to Philip I, Landgrave of Hesse. "Briefwechsel" refers to correspondence, so this particular reference appears to be to his work, Briefwechsel des Landgrafen Philipp mit Bucer. Vol. I. Leipzig. 1880. This volume covers materials from February 1540 to February 1546 from Phillip of Hesse. Here is page 373 which documents material from the First protocol to the Eisenach Conference, July 15, 1540. The quote therefore is not specifically to one of Luther's writings. It is actually from documentation of what was said at this meeting. The chances that Luther, Exposing the Myth actually used Lenz as the source for this quote are slim. If this source was used, the quote was mined out of a writing from an out-of-print book from something written in German and then translated into English. As with other quotes used by this webpage, it was probably taken from Peter Wiener's Martin Luther, Hitler's Spiritual Ancestor, page 41. Wiener probably took the quote from Hartmann Grisar, Martin Luther, His Life and His Work (Maryland: Newman Press, 1930), p. 522 or Grisar's Luther IV page 51. Wiener uses two quotes in the same order and documentation as that presented by Grisar (and also Luther, Exposing the Myth does the same). So the ultimate source for this quote is in this form is probably Grisar. The quote exists is other forms: "What harm would it do, if a man told a good strong lie for the sake of the good and for the Christian church...a lie out of necessity, a useful lie, a helpful lie, such lies would not be against God, he would accept them." Simply Google book search this quote, and a number of hits occur. The quote in this form is actually two different quotes from two different documents. The second half would be found on page 375 of Lenz. In tracking down the quote in this form, see this discussion from Snopes.com, Questionable Quotes, "Martin Luther Quote." In his book The Life and Letters of Martin Luther, Preserved Smith provides (at the very least) a brief overview of the details of the historical context surrounding this quote (The Bigamy of Philip of Hesse 1540, pp. 373-386), as does Martin Brecht, Martin Luther the Preservation of the Church Vol 3 1532-1546 (pp. 205-215). Both of these sources present a good compare and contrast. Smith isn't always sympathetic to Luther, Brecht though typically will be. Is it not a good plan to say that the bigamy had been discussed and should not Philip say that he had indeed debated the matter, but had not yet come to a decision? All else must be kept quiet. What is it, if for the good and sake of the Christian Church, one should tell a good, strong lie? .. . And before he, Luther, would reveal the confession which Bucer had made him in the Landgrave's name, or let people talk so about a pious prince whom he always wished to serve, he would rather say that Luther had gone mad, and take the blame on himself. I think it's beyond question that Luther got himself into trouble here. Perhaps one could argue that Philip was an important political person to the well-being of the Protestant territories and this set the stage for Luther's bending of the rules. There are though probably other instances in Luther's writings in which he would abhor bending the rules or lying, whatever the consequences. I would side with those who believe Luther got himself into trouble over this, and deserved the consequences. Here's though where presuppositions come into play. I don't believe Luther was any sort of infallible pope, nor do I think he was beyond error or sin throughout his career. Since I consider Luther a basically honest person, it's not much a stretch for me to conclude he got himself in trouble here and subsequently learned his lesson. That's at least what the evidence shows. On the other hand, web pages like Luther, Exposing the Myth presuppose that Luther was basically a dishonest person. This cover-up was simply Luther being Luther. No amount of evidence will persuade people like that otherwise. No, in their minds Luther was a lifelong advocate of polygamy and lying. The ironic thing is that web pages like Luther, Exposing the Myth don't appear to have any problem giving off the false impression that their research was primary and honest, when it really does not look to be so.